Tutorials will provide a brief introduction to a range of data science tools, many of which we will continue to use regularly throughout the course modules. Tutorial sessions will be woven in between modules and are meant to fit within a single class session. While modules aim to help you master fundamental skills through a hands-on analysis over several weeks, tutorials are meant primarily to give you some context and a flavor for what is possible. Almost everything we do will involve GitHub in some way. This tutorial will provide a brief introduction to our GitHub-based workflow and review common git patterns for resolving issues you may encounter in working collaboratively. Most of your work will take place inside an RMarkdown notebook. While we will rely primarily on the github_document format, RMarkdown supports a wide variety of output formats that you can use to create pdf documents (including particular journal formats) slideshows, websites, ebooks and interactive tutorials. In this tutorial, we will showcase these formats and introduce how RMarkdown output can be customized through yaml header blocks, knitr chunks, and templates. 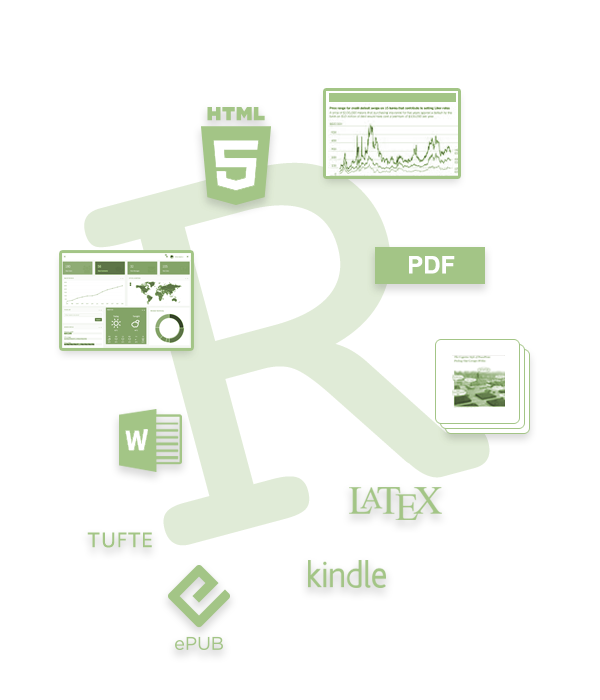 We will also introduce some of the technology behind RMarkdown formats, including pandoc, LaTeX, and HTML/CSS. See https://rmarkdown.rstudio.com. Continuous Integration (CI) is an important concept data science practice has largely adopted from software engineering, in which a suite of tests are run every time changes are committed (i.e. pushed to GitHub or other version control platform) to a project. We will use the popular Travis-CI platform to check for successful and reproducible rendering of RMarkdown notebooks in your project directories. Our Travis-CI tutorial will provide more background on what Travis is an how it can be configured and used in a variety of settings. Writing R packages isn’t just for software developers. The R packaging mechanism provides a powerful and very flexible mechanism for organizing research projects, a notion we refer to as the R “compendium” model. This tutorial will introduce you to the fundamentals of the R package structure and it’s ecosystem of tools. Docker the engine behind the emerging Open Container standard for creating portable computational environments; important both for reproducibility of existing work and deploying analyses on larger compute systems (see Cloud Tutorial). This tutorial will introduce you to the basics of using Docker with the R environment. This tutorial will review some of the major commercial and academic platforms for cloud computing research and give you experience of launching your own instances and running analyses on cloud computers using Docker and the RStudio interface. Effective web-based communication is an important element of reproducible and collaborative data science. This tutorial will provide a brief introduction to creating your own websites with Rmarkdown based tools such as bookdown and blogdown. 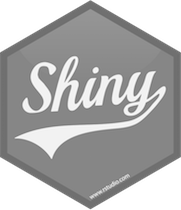 RStudio’s Shiny platform provides a simple way to turn your R plots and analyses into interactive interfaces with menus, buttons and slider bars.